The number of Americans who say they don’t attend church is at an all-time high. For the first time, 3 in 10 adults say they never attend religious services, according to the General Social Survey (GSS). The number of completely unchurched has doubled in the last decade and a half. In 2004, 15 percent said they never attended religious services. Today, it’s 30 percent. Now, more than half of Americans have limited contact with a local congregation. Almost 6 in 10 (59 percent) attend several times a year or less. Forty-two percent attend once a month or more, with 23 percent attending at least once a week. Some demographic groups are more likely to never show up than others. Young people are most likely to be skipping Sunday services, as 35 percent of 18- to 34-year-olds say they never attend religious services. Among 35- to 49-year-olds, 32 percent never show up. Those 65 and over (27 percent) and 50- to 64-year-olds (23 percent) are less likely to never attend services. GSS found the lower class (36 percent) and the working class (32 percent) are more likely to skip every Sunday than the middle class (27 percent) or upper class (24 percent). Those with only a high school diploma (34 percent) or less (29 percent) are more likely to never attend church than those who at least attended college (24 percent). Almost 4 in 10 of never married adults (38 percent) say they never attend church. Divorced (30 percent) and separated (29 percent) are also more likely to skip than married adults (26 percent). Widowed adults (23 percent) are the least likely to never attend church. One-third of political independents (33 percent) and Democrats (32 percent) say they never attend religious services. By comparison, 20 percent of Republicans say they never attend. If your church is in the West (36 percent), Northeast (33 percent), or Midwest (31 percent) people in your community are more likely to never attend than those in the South (24 percent). 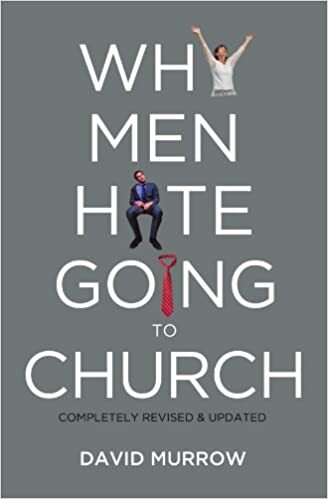 The gender gap with church attendance is often discussed and it remains relevant, as 33 percent of men say they never attend religious services compared to 27 percent of women. So, if a person is a young, poorer, unmarried, politically liberal guy who is not from the south, he isn’t likely to show up in our churches. So we need to be especially committed to reach out to those guys with an understandable proclamation of the Good News.